Definition: From the Latin, supra (prior to, below, before), lapsis, (fall). A term used to denote the logical moment of God’s election of the saints. Supralapsarianism if the belief that God chose the elect logically prior to the fall of man. More about the term: Supralapsarianism is generally held by Calvinists and a few Molinists. Supralapsarianism places the moment of divine election logically prior to the fall of Adam as opposed to logically posterior to the fall, which is known as infralapsarianism. When God chose the elect he did so without viewing them or considering them in their fallen state. God chose them in a pre-fallen state. This position can create controversy and may have unsavory implications. One of the implications is what’s known as double-predestination. This is the idea that God chose the reprobates (the non-elect) in the same fashion in which he chose the elect. This isn’t a necessary implication of supralapsarianism since God’s decree of reprobation may be logically posterior to the fall. This view of soteriology is held by Alvin Plantinga, who is a Molinist with Calvinistic tendencies (there’s a wide spectrum of Molinism ranging from supralapsarianism to Wesleyan). Plantinga uses this idea in his theodicy, ‘O Felix Culpa’ (O happy sin). The reason why evil exists is because God first desired the cross of Christ–the means by which God would get the most glory. In order to bring about the cross there must be sin, thus God permits sin to happen because he desires the cross (which is why evil exists–so God may be glorified by atoning for it). 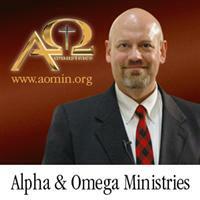 James White is the director of Alpha and Omega ministries focused on apologetics. I’ve learned a lot about my own theological position as well as others because of his ministry and service. To be honest, I don’t agree with a few things he believes. For instance, I’m a Molinist (he’s not the biggest fan), evidentialist, and an old-earth creationist. Despite our disagreements he has my utmost respect and esteem. He is passionate about God, the gospel, the Church, and the unsaved. I’m a faithful listener of his podcast, The Dividing Line, and there have been moments when I shake my head at some points he makes and there are other times when I’m cheering him on. I respect White for his defense of the faith from cults, atheists, Islam, Roman Catholicism, unitarians, and others. Where White earns my greatest respect is his integrity and honesty in scholarship and ministry. You won’t find him quote mining or warping his citations. He does the work, he does the research, and he presents it well. Now, on another note, I’m a philosophy graduate student at Liberty University. For those who are familiar with White you’ll know where I’m going with this. White demanded accountability from Caner, the university, and the church for so many discrepancies [and contradictions] Caner asserted about himself. All parties remained silent while all White did was demand honesty and integrity. Thank you, Dr. White. For those of you who aren’t familiar with White please check out his YouTube channel, his podcasts, and his website. You don’t have to agree with him all the time but you will learn a lot. Universal Atonement: Christ died for all and the atonement is applied to all (universal salvation). General Atonement: Christ obtained salvation for all but secured it for none. It holds to a government view of the atonement. Christ did not die for your sins he died for you. It’s a general amnesty. The penalty for sin is eternal perdition and no one could do that. Christ suffered for everyone so the Father could forgive those who repent. (Notice the problem with the government view of atonement 1 Cor. 15.3, Gal 3.13, 1 Jn. 2.2–it was a penal substitionary atonement). Singular redemption presumes that God wills for every individual to be saved. Antecedently, God wills all to be saved; consequently, because of the individuals sin and rejection of the Gospel, God wills for that person to be damned. There is a temporal distinction in when the elect becomes elect, an elect person temporally prior to their conversion is just as lost as an unelect person. God does incorporate contingency in his sovereign plan (i.e. Ez. 3.17-18). There is also a distinction between the extent of the atonement and the intent of the atonement. The death of Christ is the basis for the salvation of all men but Scripture does not call upon men to believe in a salvation they already have. The gospel does not inform the elect that they are saved, it exhorts all to repent and believe so that they will be saved. What does many and world refer to in these passages? Calvin advocated that these many not be limited to the elect only, rather the whole human race. He contrasts many to one. World does not mean “the world of the elect.” Calvin argued this point as well (arguing from Jn. 3.16). He believed man is doubly-guilty for rejecting Christ. Unbelievers who turn away from him and who deprive themselves of him by their malice are doubly culpable. The Bible does not equate the two in extent. Intercession illustrates that blessings of the atonement are experienced only by those who place their trust in God. Does non-limited atonement lead to universalism? No, but the objection works only if the biblical necessity of faith is ignored. Faith is conditional for salvation. Double-Jeopardy: If Christ died for some who die list, then their sins are paid for twice! This assumes what it wishes to prove –that the death of Christ actually secures salvation for the elect and applies the benefits prior to the exercise of faith. Until faith is exercised, an elect persons is just as lost as the non-elect. Limited atonement is logically inconsistent with a well-meant offer of the gospel. If an unelect is presented with the gospel, it really wasn’t meant for that person. The claim, “God loves all of you and died for all of you” is a lie (David Engelsma, Hyper-Calvinism and the Call of the Gospel, 88 [a Calvinist himself]). Does God love the world? Would we attempt to restrict any other perfections of God to the elect only? Limited atonement teaches that the non-elect are condemned for rejecting Christ when in fact he did not die for them. Man cannot reject was doesn’t exist. This falls in line with Calvin’s double-guilt argument from Jn. 3.16. Again, this isn’t exhaustive and there may certainly be objections [and rebuttals] but this is a brief outline. For more check out Ken Keathley’s book Salvation and Sovereignty (the source for this information).